Prayer Before Meals and Prayer After Meals - Give God our gratitude. from Thy bounty through Christ, our Lord. 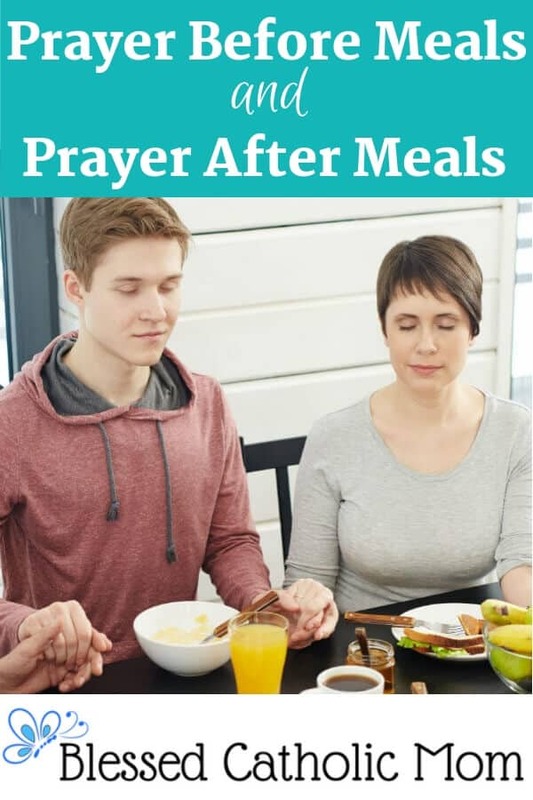 The Prayer Before Meals and the Prayer After Meals (also called Grace Before Meals and Grace After Meals) are both good to remember to pray each time we eat. They help us to keep our focus on God and acknowledge that all we have has been provided to us by God.